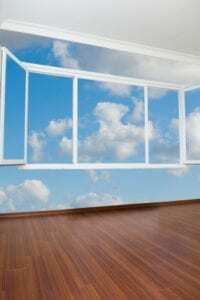 What is a home air cleaner? A home air cleaner is a device that’s installed in your ductwork as an alternative to standard flat filters. There are several types of air cleaners on the market, including mechanical filters, electronic air cleaners and ion generators. As you’ll see below, these devices use technology that allows them to remove the tiny particles in your air that can make you sick or aid the spread of illnesses in your home. Most disposable filters can only remove about 3-5 percent of the particles in your home’s air, and only the largest particles at that. That makes disposable filters only somewhat effective at protecting your HVAC system from dust buildup and almost completely ineffective at improving the health of your air. 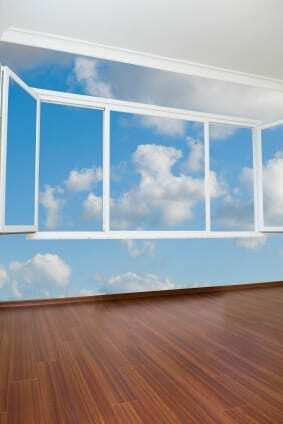 Home air cleaners, on the other hand, can remove up to 99 percent of the particles in your home’s air. They are not only better than standard filters at collecting large particles like mold spores and dust mites, but they can also remove tiny particles like viruses and bacteria that would flow right past standard filters. What are the benefits of installing a home air cleaner? Healthier air. The most obvious benefit of home air cleaners is that they remove the small particles from our air that make us sick. Air cleaners are also great for removing particles like dust mites and pollen that can aggravate symptoms of asthma and allergies. Excellent protection for your HVAC system. Along with protecting your health, home air cleaners do an excellent job at protecting your HVAC system from particle buildup. This leads to fewer system breakdowns and can extend the life of your air conditioner. Allows for good airflow. Standard flat filters with high MERV ratings tend to restrict system airflow because the material they are made of is too dense for air to efficiently make its way through. The technology that home air cleaners use allows them to not only perform better at filtering your air, but to do so without affecting your system’s airflow. If you have any questions about a home air cleaner, or if you’d like a cooling system serviced or installed in your home, contact Tiger, your Glen Carbon plumbing, heating and air conditioning company. Previous Previous post: Take Advantage of Tax Credits for Energy Efficient Water Heaters This Year!